Living in Florida can feel like an extended vacation – until, that is, the Sunshine State experiences a hurricane warning. Preparing for a hurricane can be frightening, with doubts as to whether your precautions will protect your home from extreme winds, rain, and debris. Luckily, there are tried-and-true shutter systems, window treatments, and doors that can withstand Florida’s hurricanes. 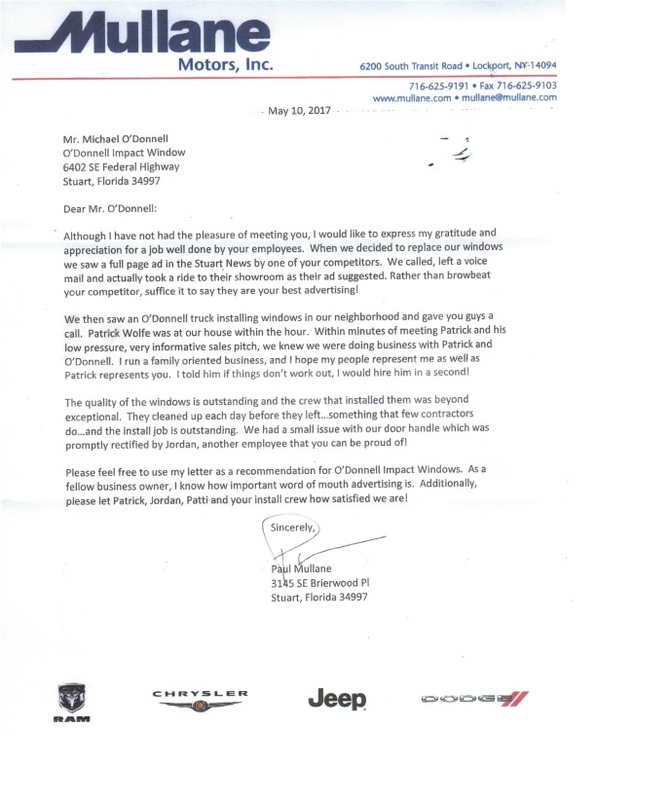 Solutions from O’Donnell Impact Windows & Storm Protection can give you peace of mind throughout hurricane season. Here’s how. During a hurricane, a home’s windows are often the first to go. Even newer windows can’t stand up to the gale-force winds and flying debris hurricanes kick up. Unless you have special hurricane windows, your glass won’t withstand impacts. Shattered windows at 155 miles per hour can be terrifying – and deadly. Taping your windows or putting up cardboard is ineffectual in most hurricanes, and puts your family and home at risk. Invest in hurricane-impact windows to rest easy during scary weather. Impact windows offer value with or without a hurricane – they can lower energy costs, reduce noise pollution, block UV rays from furnishings, and provide protection against intruders. Learn more about impact windows. Many people underestimate the strength and durability of storm shutters during a hurricane. Storm shutters are fast and easy to deploy. Once a storm hits, simply draw the accordion-type shutters, pulling them into place to prevent broken windows and other damage. With hurricane shutters closed, you stabilize the atmospheric pressure within your home and prevent highly dangerous occurrences such as debris breaking a window. With outdoor pressure rising in the storm, a penetrated window can put your entire home at risk of collapse. Hurricane shutters act as your first line of defense in a storm – blocking wind, rain, and debris from striking your windows. They provide a barrier between the outside elements and your home’s interior. Come high winds or flying objects, hurricane shutters hold strong. Since these shutters are permanent fixtures, they add appeal and value to your home at all times – not just when a hurricane is on the horizon. Impact-resistant doors top off a hurricane-proof home. Replace ordinary doors with impact-resistant glass awnings, French doors, and sliding glass doors. These storm doors stand strong against hurricane-force winds and flying debris. With advanced design and engineering, storm doors are now more beautiful and durable than ever. We offer vinyl and aluminum hurricane doors in a variety of configurations. Investing in storm doors is the best way to protect against highly dangerous flying glass shards during a hurricane or tropical storm. 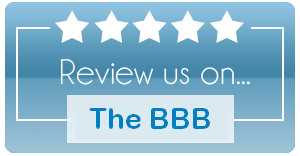 They boost your home’s value, curb appeal, and safety in all weather. In Florida and other hurricane-prone states, outfitting your home with hurricane-proof windows and doors is a smart investment. These additions will improve your family’s safety, protect the integrity of your home, and increase property value. 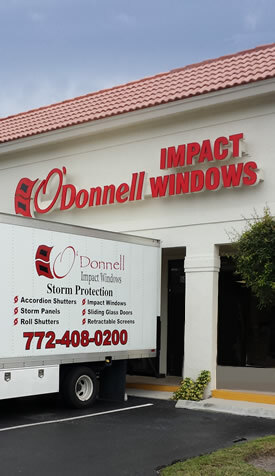 To get started on your custom hurricane-proof system, contact us at O’Donnell Impact Windows & Storm Protection.